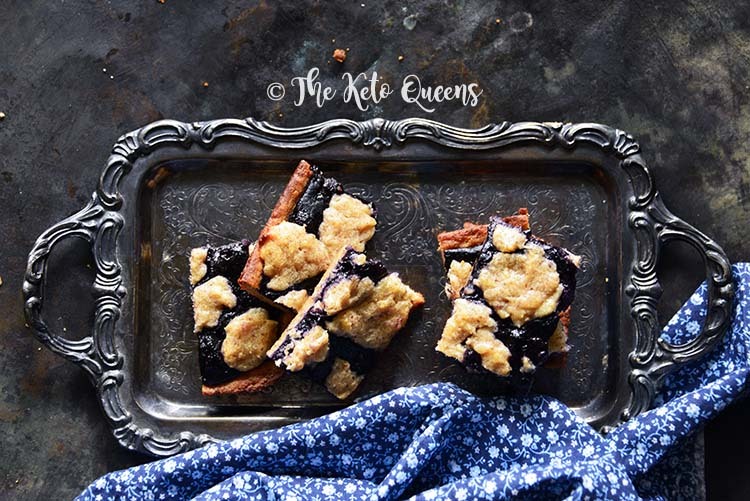 With versatile fat head dough and a sweet blueberry filling, Low-Carb Fathead Blueberry Cobbler Bars taste similar to a blueberry cheese pastry; they’re so good you’ll even find non-keto-eaters grabbing seconds! One of the foods people tell us that they miss most since going keto are sweet treats, like cakes, pies, cookies, pastries, etc. We get it; those were what we thought of as comfort foods! Plus when it’s a celebration and everyone around you is indulging, it takes a lot of self-restraint to not eat that slice of cake. 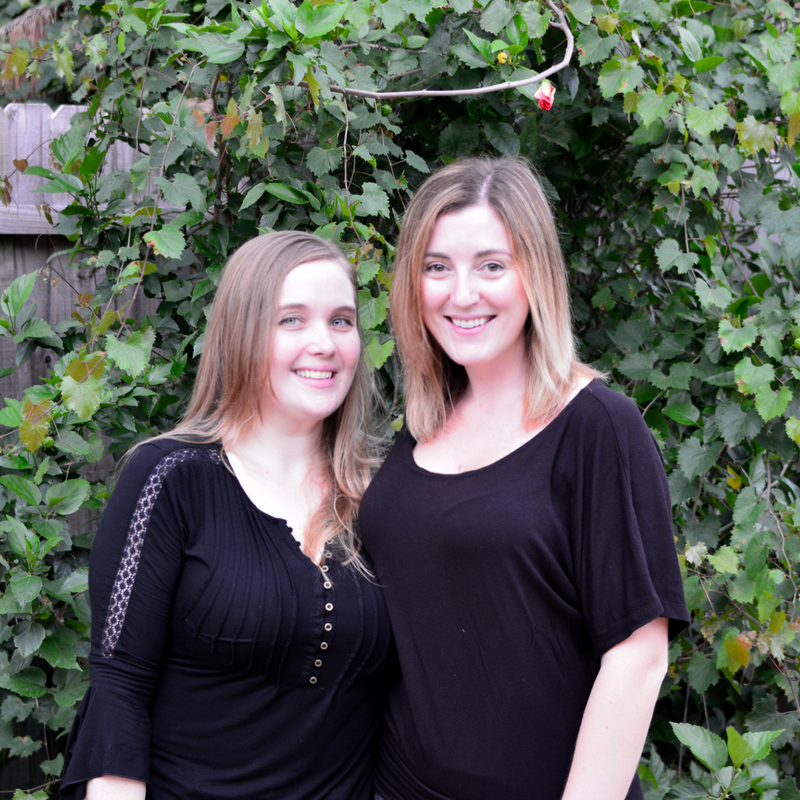 But we want to show you that keto doesn’t have to be restrictive. 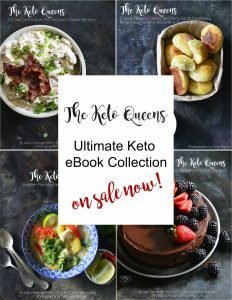 You can remake your favorite keto recipes into something that won’t cause a sugar crash or gluten bloat. 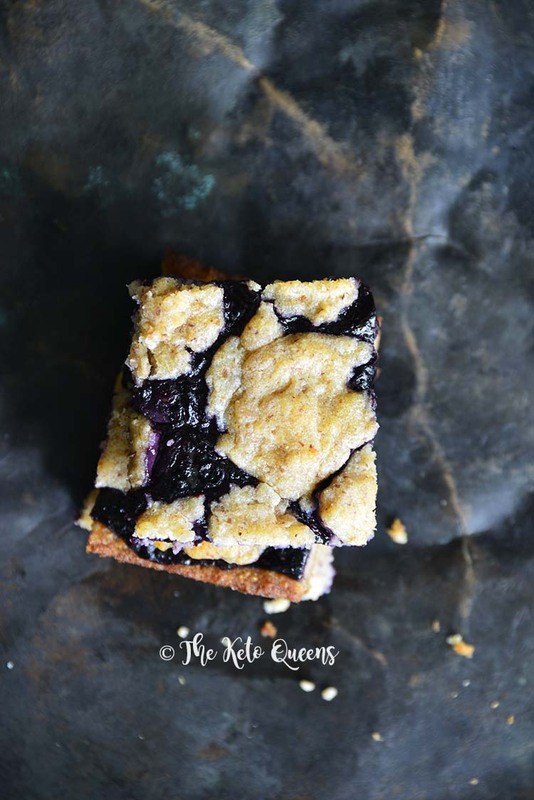 These Low-Carb Fathead Blueberry Cobbler Bars are something you can feel good about eating. Bring them along to a summer picnic, potluck, or BBQ and watch as everyone else enjoys them too. What is Fat Head Pizza Dough? In the low-carb/keto world, fat head dough is hugely popular! It’s used to make everything from pizza, to breadsticks, sticky buns, crackers, and the list goes on. Fat head dough is made from a base of melted cheese, a little cream cheese, egg, and almond meal or flour. It comes together quickly and easily, and can be used to make both savory and sweet recipes. It was made popular by Tom Naughton’s older brother’s oldest son (who said he adapted it from this blog), and was named after Tom’s comedy/documentary, Fat Head Movie. Considering how delicious fat head dough is, it is surprising how easy it is to make! Start by melting together mozzarella and cream cheeses (we also add a little butter to this recipe for flavor). Then mix in the egg (we also add vanilla and stevia glycerite in this step, for flavor and sweetness), and finally mix in the almond meal or flour (and any other dry ingredients that the recipe calls for). Stir to combine (or get in there with your hands! ), and then it’s ready to roll out or press into a pan. After several kitchen experiments, we’ve found that the best kind of cheese to use for fat head dough is low-moisture part-skim shredded mozzarella (the kind that comes pre-shredded in a bag). If you get your own mozzarella to shred it has too much moisture content, and if you try to use cheddar it has too much fat content, and both will require the other ingredients in the recipe to be adjusted. 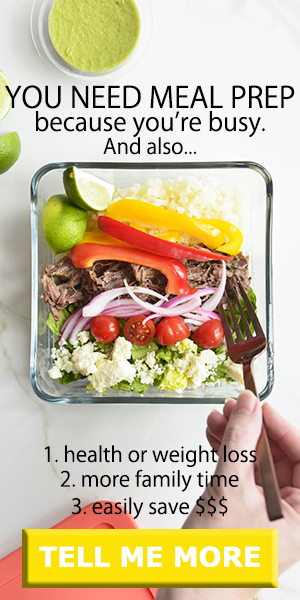 Trust us, for best results, pick up a bag of the pre-shredded is low-moisture part-skim shredded mozzarella! Almond flour is finely-ground blanched almonds, which are just almonds with the skin removed. Because the skins have been removed prior to grinding, almond flour is lighter in color. (Removing the skins off almonds is actually a very easy process; just briefly soak the almonds in warm water and then the skins should slip right off.) Almond meal is made from ground almonds, skins and all, and has a darker color and usually a somewhat coarser grind. Almond flour and meal can’t always be used interchangeably, but if a recipe says they can, go ahead and use either. We’ve found that almond flour yields a lighter colored baked good (similar to using white flour), and almond meal yields a more “whole wheat” look. Preheat the oven to 350F; spray the inside of an 8 by 8-inch pan with coconut oil and set aside. For the dough, whisk together the almond flour, Swerve Confectioners, cinnamon, baking powder, and salt in a medium bowl and set aside. Use a fork to mix the egg, vanilla, and stevia glycerite into the mozzarella mixture. Stir the dry ingredients into the cheese mixture. It’s easiest to do this with your hands; to help prevent the dough from sticking, lightly spray your hands with a little coconut oil before kneading the ingredients together until they form a dough. Press ¾ of the dough (reserve ¼ for topping) into the bottom and ¼ to ½ inch up the sides of the prepared 8 by 8-inch pan. Bake until light golden, about 15 minutes. For the filling, add the blueberries, erythritol, stevia glycerite, and salt to a medium saucepan over medium heat. Bring to a simmer, and then cover and boil 5 minutes. Add the vanilla, lemon juice, and psyllium and cook until thickened, about 30 seconds more, stirring constantly. Spread the filling out into the pre-baked dough bottom. Crumble the remaining ¼ of the dough on top. Bake until the dough on top is light golden, about 15 to 20 minutes. Cool to room temperature before cutting. Store leftovers in the fridge for up to 5 days (they can be reheated in the microwave or toaster oven if desired). Finally! The best keto baked good I’ve found so far! My husband who doesn’t eat Keto loved them as well. Easy to make which is good because I’ll be making this often! Thank you! Sherrie, We’re so happy to hear you and your hubby enjoyed this recipe!! Can these be frozen? I go through waves of baking energy. I can’t wait to try them! Sara, Yes! To freeze these, we recommend wrapping them individually in parchment paper and then storing them in an airtight container in the freezer. Just pull them out and defrost as you want to eat them. After being frozen, we like to slightly reheat these (after they’re defrosted) for a few seconds in the microwave. I highly recommend using parchment paper! These are so stuck to the pan I am destroying them trying to get them out. Really disappointing. Liz, We’re sorry to hear these stuck to the pan for you! We used coconut oil and cooled to room temperature and they came out easily. I make Fathead pizza & rolls & they are easy & delicious, but this was the most difficult fathead recipe & there was no way I could mix it by hand, I tried though. I finally used my food processor & that mixed it. It is super sticky to work with even spraying my hands with spray olive oil. Mary, We’re sorry to hear you had trouble with this recipe! The proportions are pretty standard as far as fathead dough goes, but depending where you live (it’s winter for us here) that may have been a factor. If you’re familiar with fathead dough, you probably already know that if it cools down too much it gets difficult to handle. But there’s an easy solution – just microwave it for a few seconds until it’s easy to work with again. With that being said, you mentioned that you used olive oil to oil your hands; for this recipe, we recommend coconut oil like the recipe says because olive oil doesn’t really go with the sweet flavor profile of this recipe. I hope this info helps! What happens using a cheddar instead of mozzarella for these bars? No I’m sorry! Cheddar has a high fat content and it wouldn’t work properly. And with the mozzarella it must be the part skim pre-shredded for it to work the best.